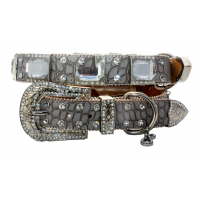 This perfectly compliments the stunning collar a must have for your Puchi!! 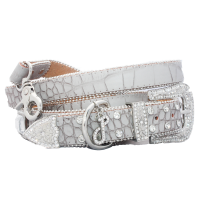 These collars ar.. 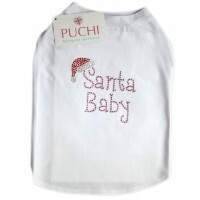 This perfectly compliments the stunning collar a must have for your Puchi!! 4 feet long with.. Beautifully designed in eye catching amethyst colour, incorporating our new fashionable jewelled .. This is the most stylish, stunning collar we have recently designed and is cut from the finest of..
Due to the popularity of this stunning collar range we have added a chic black with red diamantes.. 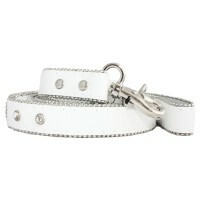 This Monte Carlo Dog Lead in Arctic White is a great lead to attach to your dog. This perfe.. 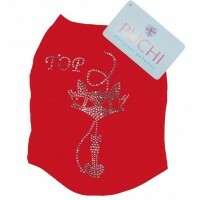 This perfectly compliments the stunning collar a must have for your Puchi!! 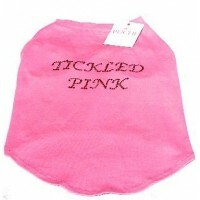 These leads are ..
Really cute choice for your Puchi she will look very up market with this choice and will be '.. Does your dog fancy itself as a diva? 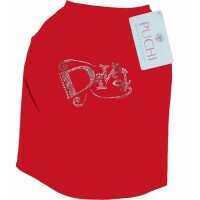 Try out are new hot red t-shirt new in stock, this item..